Did famous authors like Mark Twain and Leo Tolstoy suffer from writer’s block? You can bet your last drop of ink that they did. Just type “writer’s block and famous authors” in Google and see the results that get splashed across the screen. In fact one of those links led me to an old Wall Street Journal article on how writers of today write their novels. From jumping into the shower to using voice recognition software, these famous authors (some Booker Prize awardees) have their own idiosyncrasies. But all of them seem to agree on one hurdle: the dread of writer’s block. Most of us are nowhere near those heights, but we do our own form of writing, like blog posts or simple journaling. Even then, sometimes the words just refuse to come. That’s when writing prompts can help. 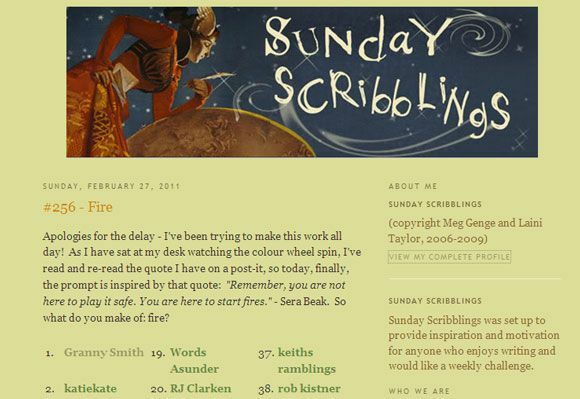 Let’s look at ten unique websites that give a leg-up to the struggling writer with writing prompts and ideas. 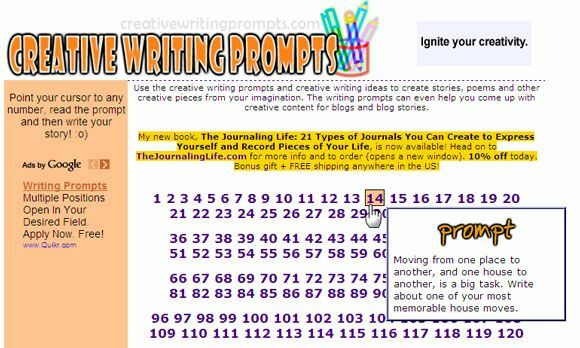 We start off with a popular site for writing prompts. The prompts, numbering 346 so far, are on display for you to mouseover and see the writing hints on display. Most of the writing prompts aren’t about words or phrases, but they force you to cajole your brain into thinking more imaginatively”¦and then write. WritingFix.com is an educator’s resource for writing lessons and language skills. 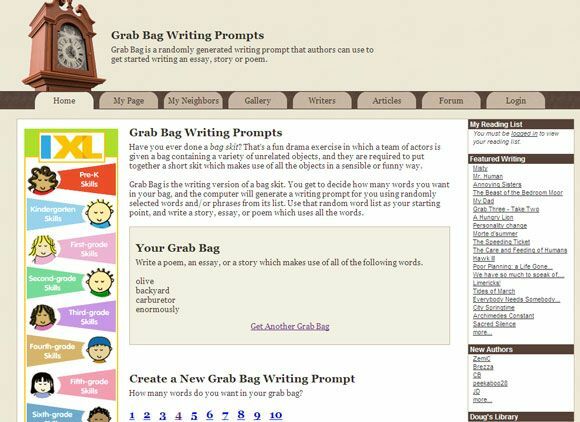 Among the resources you will find different kinds of writing prompts. For instance, if you are into journal writing and need a daily prompt to trigger your typing, check the prompt generator here. The random writing prompt comes up with a click and a little note says that there are 566 of those published so far. You can also sign-up for “Daily Writing Prompts” and receive a week’s worth of prompts every Sunday. 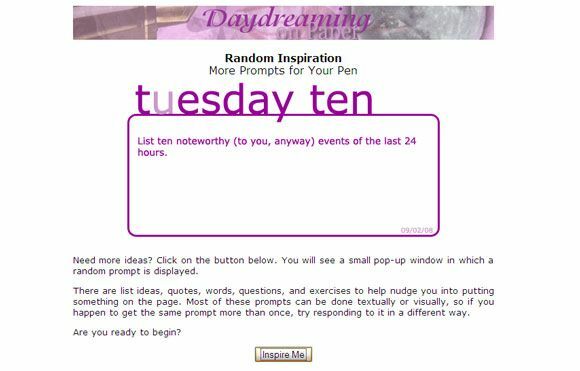 A prompt each day should help you light the spark of creativity. Plink has a nice interface with a prompt and a text field displayed prominently. You can use the prompt in your own work or just sign-up and answer it on the site itself. Either way, it should help you to think and write. With Plink, you can also add photos, playlists, maps, and more with a few keywords. You can also choose to share your answers on the social networks. You can also contribute your own prompts. 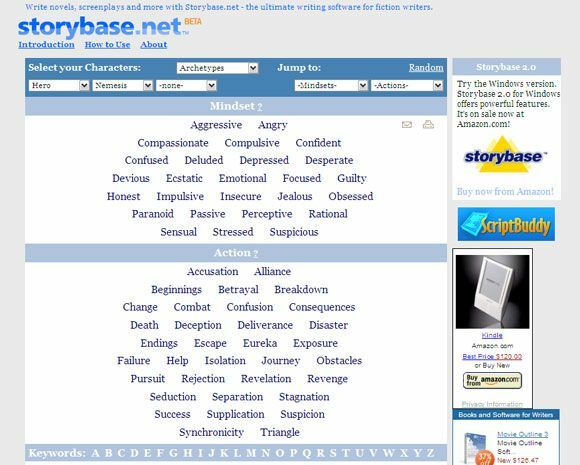 The writer’s site allows you to break the stranglehold of dullness with aids like Grab Brag – the randomly generated writing prompt that authors can use to get started on writing an essay, story or poem. 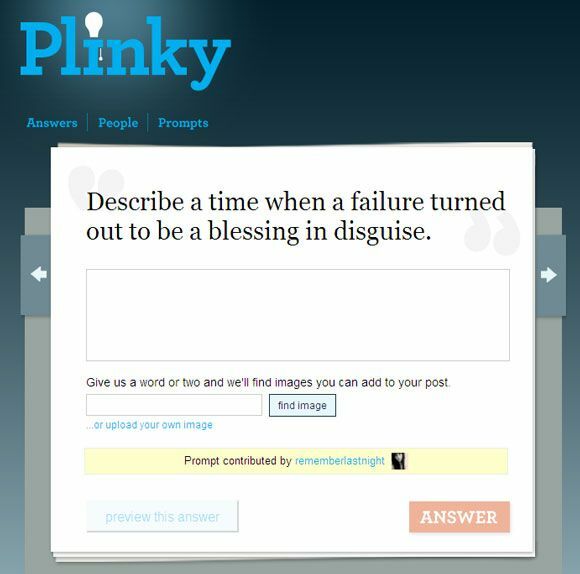 Pick the number of words you want and the site generates writing prompts for you using randomly selected words or phrases. The site also has a weekly prompt which gives you a more detailed scenario to work on. You can subscribe to it as a RSS feed. How about 1,108,918,470 creative prompts to make you perk up and start to write? That’s what Story Starter’s idea generator gives you with a click of the button. Plus, there’s 729 ideas reserved for kids in their junior section. The site hasn’t been updated for some time but the story prompts are still there waiting for you to mine them. The site says that it can inspire you with its random prompts. Try it out with a mouse click. A pop-up opens to display a random prompt which you can build up or click again to get a fresh prompt. Again, the site lies un-updated, but as long as it keeps throwing prompts at you, it is useful. There are database generated prompts and then there are the ones personally picked by a passionate blogger. This little effort is the latter. I found this blog accidently, and I must say that I liked it. Why didn’t I think of it myself? 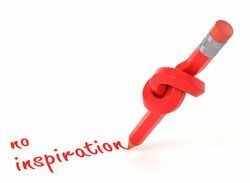 The idea is very simple – the bloggers (Meg Genge and Laini Taylor) post a writing prompt on Saturday and invite you to post your writing (anything that gets your pen moving). Check out the 256 prompts on view so far. 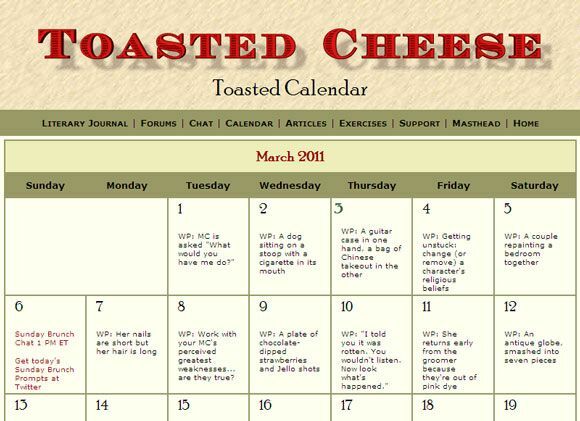 You can also call it the “toasted calendar”. Writing prompts are arranged on a calendar, one for the day. You can change the display of course, but if this suits you, click the arrows to browse through any previous month’s prompt ideas. I have pointed the link straight to the page which houses all the writing tools you will need in case you get stuck on writer’s block. 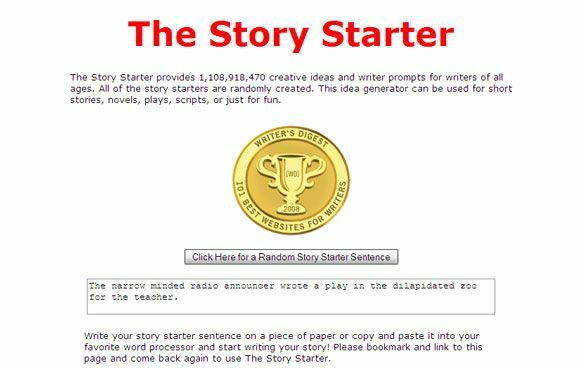 Try out the Quick Story Idea Generator or the Quick Story Theme Generator. There are a few other tools too, like the Writing Challenge Generator which spits out writing prompt ideas according to a few permutations and combinations you can set with the dropdowns. The site also links to other generator sites, some of which are quite cool like The Forge – Fantasy Name Generator. A useful site for fiction writers who can’t seem to go beyond the turn of the page; the writing prompt website gives you 3,900 narrative situations to pick and combine. You can use the story starters and writing prompts to flesh your stories with characters and conflicts. Select your characters, pick a mindset, and decide on an action. Scroll down, we need your comments.